More information: Garnering comparisons to John Grant and Lana Del Rey, The Anchoress's concept driven compositions have been the talk of the music press in 2016. PROG magazine - who've nominated her for best-newcomer at their awards - went as far as proclaiming her debut album as "...Kate Bush's 'Hounds Of Love' updated for the 21st century." Her singles have received heavy rotation from BBC 6Music and lit up the web, reaching number 2 on the HypeMachine and number 11 on AppleMusic's video chart. The Anchoress' debut album has been lauded by the music press, racked as one of HMV's "best albums of 2016" and has found fans in the likes of Peter Gabriel (who selected it for his album club), and the Manic Street Preachers, whom she supported and duetted with on 'Little Baby Nothing' at this summer's Eden Sessions. The new 2 CD edition follows a run of summer dates, including a sold-out London headline show, festival sets at Latitude and WOMAD, headlining the BBC stage at Great Escape. The Anchoress has also appeared on BBC Radio 4's Woman's Hour, BBC Radio 3's The Verb, been interviewed by MOJO and The Guardian, and now finds herself nominated in this year's PROG Awards best newcomer category. Multi-instrumentalist, songwriter, PhD & producer Catherine Anne Davies (who also plays in the live line-up of Simple Minds) sums up her album's overall concept as, "Partly a concept album narrated by the titular potboiler author, partly a series of imaginary character pieces, and partly a deeply personal outpouring from someone who's been through a fair amount of personal hell." 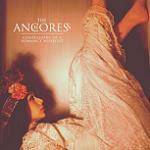 Whichever way you choose to describe The Anchoress' compelling debut 'Confessions Of A Romance Novelist '(co-produced by Mansun's frontman Paul Draper) one thing's for certain, this is something truly different. Co-producer Draper has helped Davies capture a collection of songs on which she has played a variety of instruments, including piano, guitar, flute, omnichord, mellotron, wurlitzer, glockenspiel, and celeste. This new edition includes a bonus disc of 5 brand new acoustic versions, featuring string arrangements from Gillian Wood, and is presented in a digipack with 16 page colour booklet.